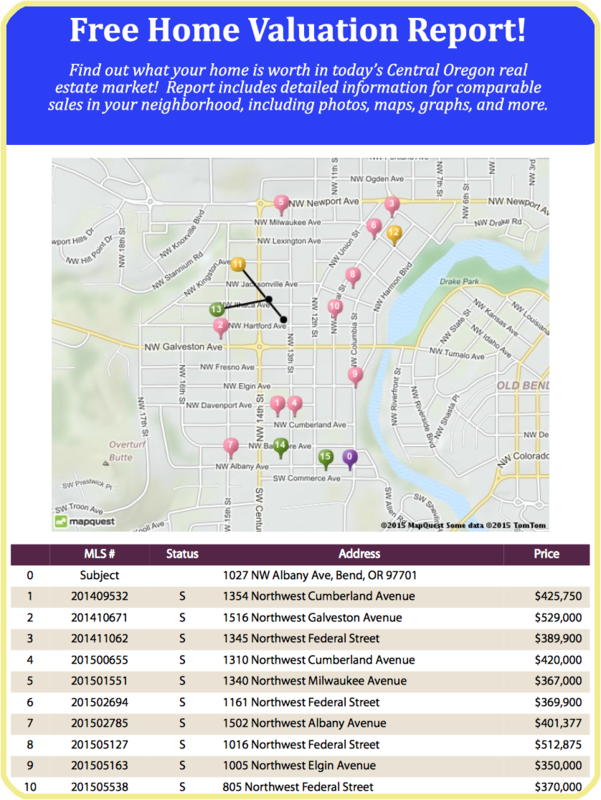 Thinking of selling your Central Oregon property? Fill out the form below and receive a free home valuation report. This report is extensive and will include all Active, Sold, and Pending properties similar to your Bend area property. The report includes links to each comparable sale, graphs, market information and more. Please fill the form out as complete as you can to ensure that Dylan can customize the comparable sales to those that best match your home. Also, visit my PIP Neighborhood Market Tracker page to get a customized monthly real estate report on your neighborhoods values! A very cool new tool that every homeowner should have! Please fill out the form below to receive your free home valuation report.